Last Sunday the Catholic Church celebrated the Feast of Christ the King. Conjuring up images of thrones, royal robes, and scepters, it is a feast day that can strike secularized Western societies like ours as particularly alien. An Australian bishop recently expressed a lack of enthusiasm for this image. Perhaps he preferred to envision the deity not so much as Prime Mover but as Prime Minister—with the implication that he could be voted out of office for unsatisfactory performance. In response, the pope’s intention in spotlighting Christ’s kingship was not to encourage the recovery of monarchical government, nor to ally with supporters of sharia law, but to reaffirm that human rights and human dignity are not a human invention. They are not something once conjured into existence by human minds and therefore capable of being legitimately dismissed by competing human minds. No, the dignity owed each human being, the rights that belong to us, and the duties we owe to each other are not properly open to curtailment by either totalitarian governments or succeeding democratic majorities. This understanding of a moral order inhering within the universe and largely apprehensible by human beings of good will continued to hold sway at least intermittently in the Western democracies through much of the last century, bolstered by the horrific counter-example that Nazi Germany provided in the Holocaust. Of course human beings are capable of violating the natural rights of others, as we can also violate minor human laws against trespassing or speeding or littering; however, there are inbuilt consequences for doing so—our lives and the lives of those affected by our actions suffer effects analogous to the physical effects suffered by ignoring, say, the laws of gravity. Therefore natural rights should be reflected in and supported by the human laws we fashion for justly and securely living in society. In fact, it was the Hitler regime’s “crimes against humanity” that prompted the Allied victors to conduct the Nuremberg trials after World War II—trials with no justification beyond the victors’ revenge or cultural imperialism if not for the victors’ conviction that those who “just followed orders” had violated universal moral laws they should have recognized and obeyed. As we know, in the Western-derived democracies of today, the moral and legal landscape has altered significantly since the Nuremberg trials. In part this reflects the growth of religious heterodoxy in these formerly overwhelmingly traditional Christian nations—and also of non-believers and atheists. Amid such extreme heterogeneity of religious, theological, and moral beliefs, and with the devolution of traditional belief in many Christian denominations, a common cultural heritage that offers shared certainties about how we should behave individually and towards each other has greatly diminished. Confusingly, we simultaneously encounter crusades against targeted people and behaviors, heated exchanges of allegations, and coalitions agitating for and against various social, moral, religious, and political opinions. 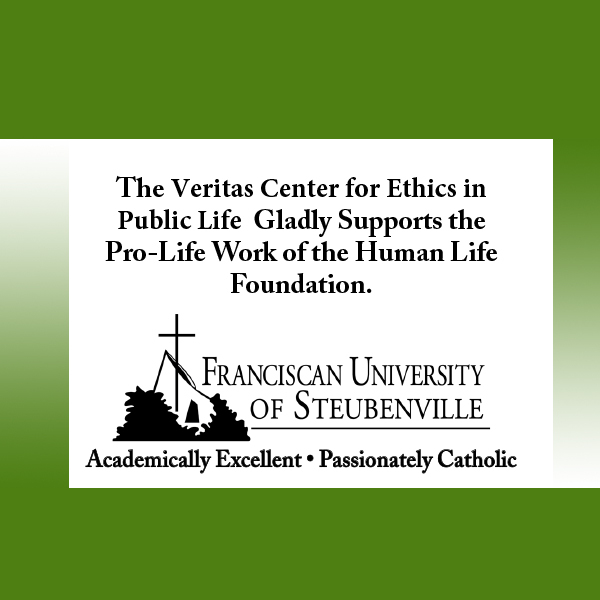 Prolifers routinely encounter a host of barriers in their efforts to persuade people of the rights and dignity of the unborn. Some arise from difficulties in identifying common premises, defining terms, and working through rational argument—but these are not the only or even the most difficult obstacles. Much harder is the avoidance of any true reasoning from and towards truths we can share, as people’s opinions increasingly coalesce around shared identifications, labels, and belief categories, ethnic groups, genders, preferences, social and educational classes, and experiences. “Right” and “wrong” then line up with “us” and “them.” That this occurs is not unusual, but the frequency with which it occurs in our time is worrisome. More and more, “us” and “them” identifications and resistance to more neutral forms of debate and discussion facilitate demonizing and ostracizing. Such identifications also block efforts to clear up misunderstandings, find areas of agreement, and counter stereotyping or scapegoating. In contrast, acknowledging that the Creator’s authority and intentions are discernible in the world and its inhabitants allows us to recognize humanity’s common creaturehood; innate dignity; and divinely appointed purpose. For the image of Christ the King points not to a dictator riding roughshod over the rights of others but to a just lawgiver and judge. In Pius XI’s formulation: “There is a truth common to all mankind, and every nation is but a different incarnation of the same truth about man.” Therefore, our ability to discern what is true and love what is good is related to the universal truths embedded in the very structure and elements of creation. And what likelier remedy is there for the present clashing tribes of alt right and antifa, blue states and red, white collar and blue collar, climate change accepters and deniers, dead white males and living minority females, Millennials and Gen Xers and Boomers, and on and on and on? What peace or even temporary truce is possible if we persist in wars of assertion contested by rising decibel levels and ad hominem attacks that reduce debate to denunciations of the opponent’s tribe? 82 people have visited this page. 1 have visited this page today.